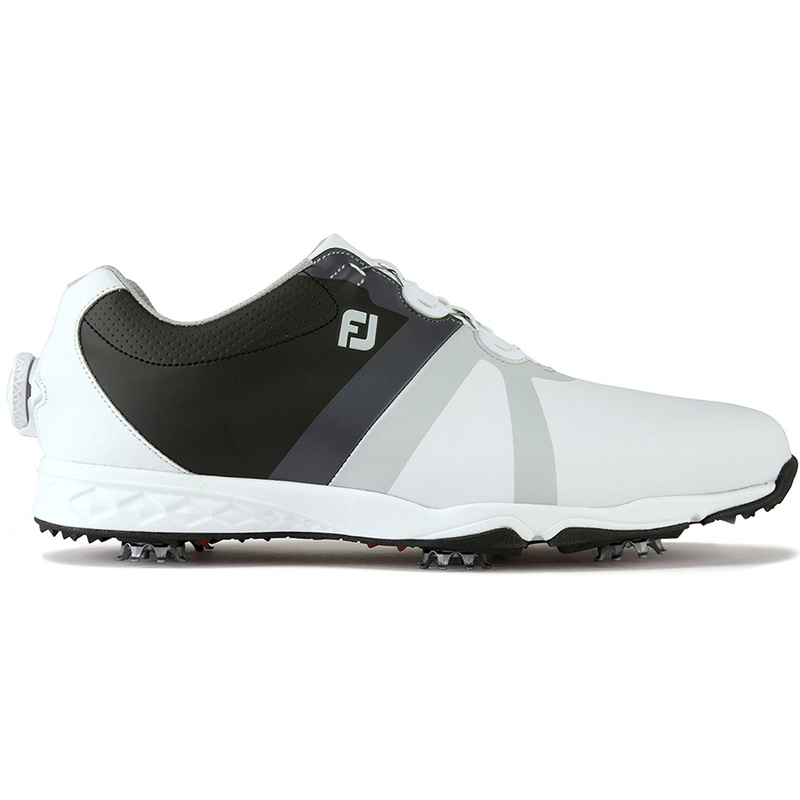 Excellent footwear is essential to a good swing and that is exactly what you get with these superb golf shoes from FootJoy. Unlike traditional laces, the BOA lacing system allows you to dial in for a more precise and consistent fit. These shoes not only look fantastic but they provide excellent comfort. This is thanks to the Austin Last which is the fullest rounded toe character, fullest fit across forefoot, standard instep and heel. 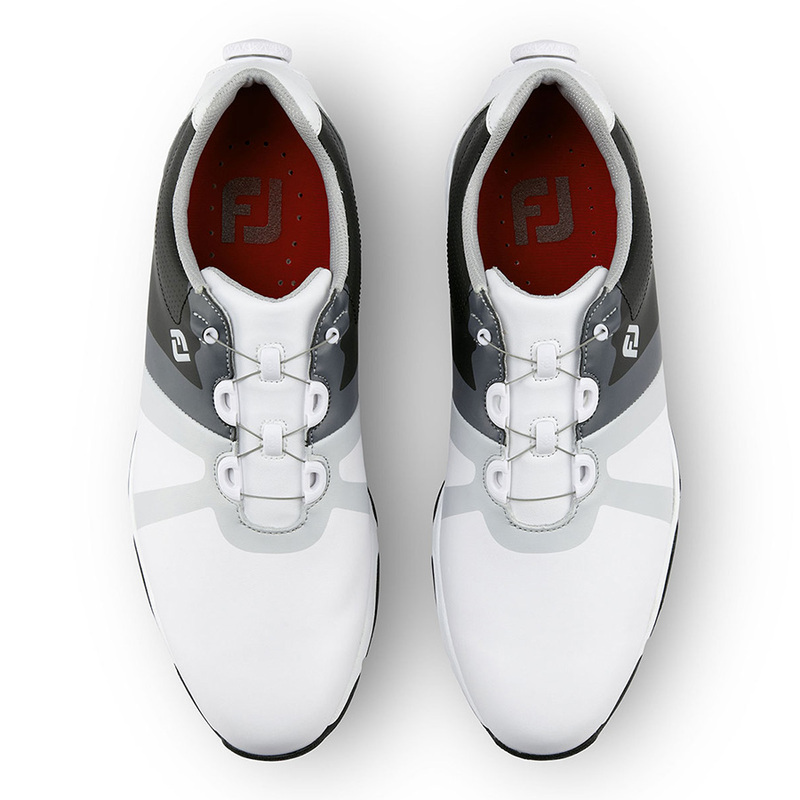 It has also been designed with premium full grain leather upper which are soft, breathable and waterproof. 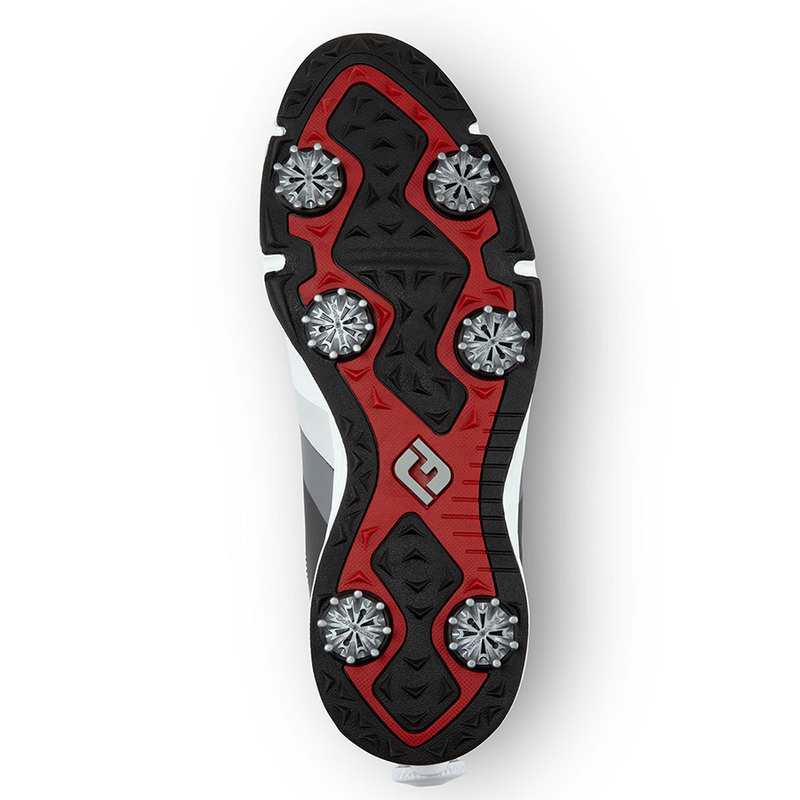 These shoes provide excellent grip thanks to the TourLock cleat system. This system features unmatched cleat/receptacle retention ensuring the cleats remain in shoe under the toughest of conditions. These shoes also have Pulsar cleats which feature all the same turf grip and walking comfort advantages of Black Widow plus the additions of and radiused legs for extra durability and cleat webbing for easier cleaning. 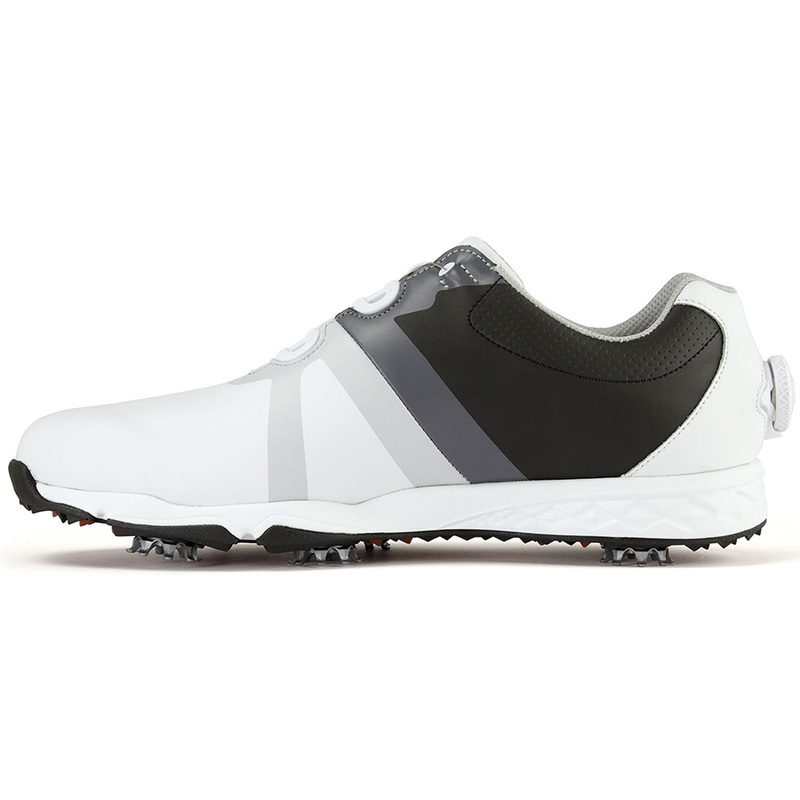 The DuraMax Rubber Spikeless Outsole is durable and flexible resulting in greens-friendly comfort and superb traction.